I’m sure you have seen this illustration before on movie-versus-book discussions. With the sudden influx of movies based on books, I feel that I have to stress again how much richer and more satisfying reading a book is over seeing the movie adaptation. When you read, you are creating your own movie. Your brain is more engaged and invested in a book. It is a very active process, combining the words you are seeing, processing, and understanding to create a full-color, vivid, on-demand movie in your mind. You are director and producer. You are in charge of makeup and costumes. You choose the locations and scenes. All of this in a split second. That’s why reading makes you smarter. Not only are you able to learn new words, but you are also engaging so much of your brain in sequential, systematic, and parallel ways – many times all at once! There will never be a better movie-maker than your own imagination. One of my top 10 books, the story presents a challenge to the screen because it is primarily internal monologue. While the film and television series are true to the dystopian nature of the story, it is impossible to capture the parallel thoughts and feelings of the protagonist and the other handmaids as told in the double narrative-style of the book. Another one of my faves, this is the first book in a quartet. While the film adaptation, again, presents the general idea of the book, the fact that one character was given a much bigger part in the film (Streep’s characterization of the Chief Elder) in order cash in on her star power doesn’t sit well with me. The book is about exploring feelings, making decisions, and actions bringing consequences. The film version was highly acclaimed, nominated for seven Academy Awards and winning four. What is missing here, however, is the raw and visceral pull of alcohol on the main character. It consumes him, drives his behavior, and pulls the reader in opposing directions of disgust and sympathy for him. Thought of as the seminal American novel on addiction, this desperation cannot be captured on film. That, coupled with homosexual overtones, makes this 1944 novel a must-read. These are just three of my pics for you. Let me know of other books-into-films you have experienced, and what your impression on the comparison was. Anne’s Pick for my next read: WOW! 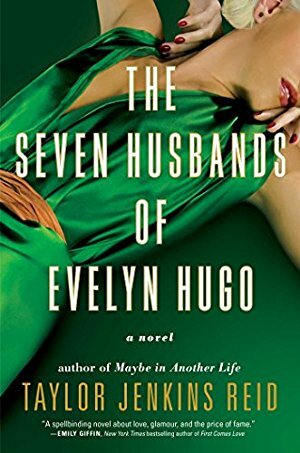 The other day, I turned you on to Anne Bogel’s “What Should I Read Next” podcast, as well as her blog, Modern Mrs. Darcy. In looking through her book lists, I happened upon an intriguing proposition: The perfect summer reading for every Myers-Briggs personality type. There’s more to the synopsis than that, but I don’t like those long ones because, to me, it gives too much of the book away. Rest assured, I WILL be reading this one! Take a quick trip to the list linked above and let me know what your recommended book is! In my search for a new book-centric podcast when my beloved Books on the Nightstand ended its run, I came across What Should I Read Next, a podcast by Anne Bogel. While still reeling from the end of BotN, Anne immediately caught my attention with her literary matchmaking. On the podcast, she talks with a reader, asking what they are currently reading, three books they love, and one book that didn’t grab them. See what I mean??! Brilliant! With this, she then recommends three books to them. Almost always, each of the books discussed is new to me. I love hearing about the books, why they love them, why they didn’t like them, and why Anne chooses the books she does for them. There is even a follow-up podcast (episode 46) in which she revisits seven of these readers to find out how well she did in her matchmaking picks. Next time you are in the midst of your commute, or are sitting outside in the sun and breeze, pop in your earbuds and listen to a few of these. Be warned, though! Your TBR will more than likely grow. The Question: Do you think about past reads? At seemingly odd times, a bit of text, a scene, or a character from a past read will pop into my mind. From books that made very little obvious impact on me suddenly prove themselves buried deep into my psyche, much like that lone Narcissus papyraceus that pops up in the center of my lawn each spring. 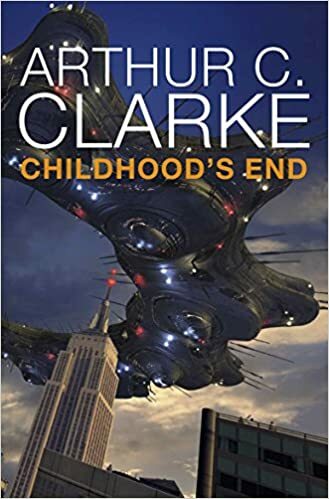 The first book that haunted me a little, but in a positive way, was Arthur C. Clarke’s Childhood’s End. I am not a huge science fiction book fan, so this is not a genre that I read very often. However, this book drew me right in. Based on an alien invasion, the “haunting” scene is where a human is trying to explain to the “Overlords” our need for sleep. It is a concept that is completely foreign to them. Another scene in my memory is from Jennifer Weiner’s book Then Came You. 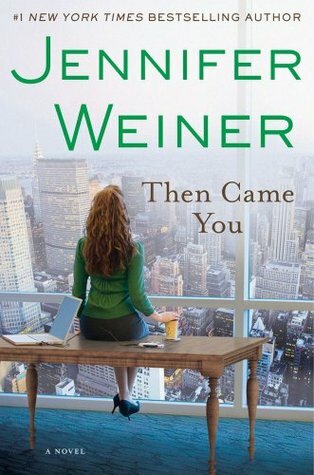 Weiner is an author that I do not read enough of. Her characters are always so likable, real, and the situations are familiar and completely relatable. This “haunting” is a scene in which an adult child of long-divorced parents realizes how different the much-younger new wife relates to her father than her mother ever did. With this, she comes to understand that what her mother and father needed were very different when they married than when they divorced. It was an epiphany borne of seeing her father’s wife lean into him with her body language, giving the impression that he was truly holding her up. Her mother had grown into a very independent woman and no longer needed a man in that way. Resentment for his new marriage dissipated, and the story truly turned a corner. There are more, but this is already longer than I wanted it to be. What are some of your “hauntings”? I am going to ramp up the blog a bit by posting a few more personal entries, observations, and book news. All of this in addition to my regular book reviews. To start this new journey of blogdom, I introduce a new feature to the blog: The Question. I didn’t know this, but there is apparently a comic book character named … you guessed it – The Question. Like most comic book characters, this one has gone through lots of changes, most of which I can’t follow, and am not really interested in. Sorry, not sorry. I will make this a monthly feature, and will get started on it right away. Maybe even tomorrow. Ooh! I feel some excitement tingles!! After what must have been a kitten-ton of comments, GoodReads has added a ReReading feature! How Do I Start Using the Rereading Feature? Next time you decide to reread a book that you’ve already marked as Read on Goodreads, simply mark it as Currently Reading. When you are done, just mark it as Read. You can do this from the Goodreads iOS and Android apps and on Goodreads.com, as well as in the About the Book feature on Kindle (if you have connected your Goodreads and Amazon accounts – click here to connect your accounts). We take care of marking it as a reread for you. Bonus, it will also automatically be included in your Reading Challenge. While it sounds like a simple thing to add, rereading turned out to be a complex engineering challenge that involved our entire database. To give you a sense of that scope, our 60 million members have added more than 1.7 billion books to their shelves! That’s why we’re rolling out rereading in stages. So, if you’re not seeing it yet, you will soon! How Do I Add All The Times I’ve Reread My Favorite Books? What Happens If I’ve Been Keeping Track of My Rereads With The “Number of Times Read” Option? If you previously used the “Number of times read” field, don’t worry, we’ve already done the work for you and all your rereads are still there. If you added a number, it automatically shows in the new feature. If you used text, we’ve included it in the private notes section of your review. Simply click on edit Review, to change any dates or add more information. There is more info on the blog post, so I encourage you to visit. This calls for a toast to GoodReads for listening, responding, and just being awesome! CHEERS!